I am a barefoot girl myself. All spring, summer, and into the fall, I bare my feet whenever I can. I love to wear open shoes, sandals, flip-flops, and slides, so that I can take my feet out at a moment's notice. I hate to wear socks. But once the colder weather starts to hit, my feet complain, and that is when I get out my slippers. Slippers should be like comforters on your feet, and I like my slippers to keep my feet happy. I have several different pairs of slippers depending on how cold it is, and what mood I am in. Some can venture outdoors, and some of my slippers are strictly indoor shoes. Bedroom slippers are one of the kinds of things that people often forget to replace or buy for themselves. 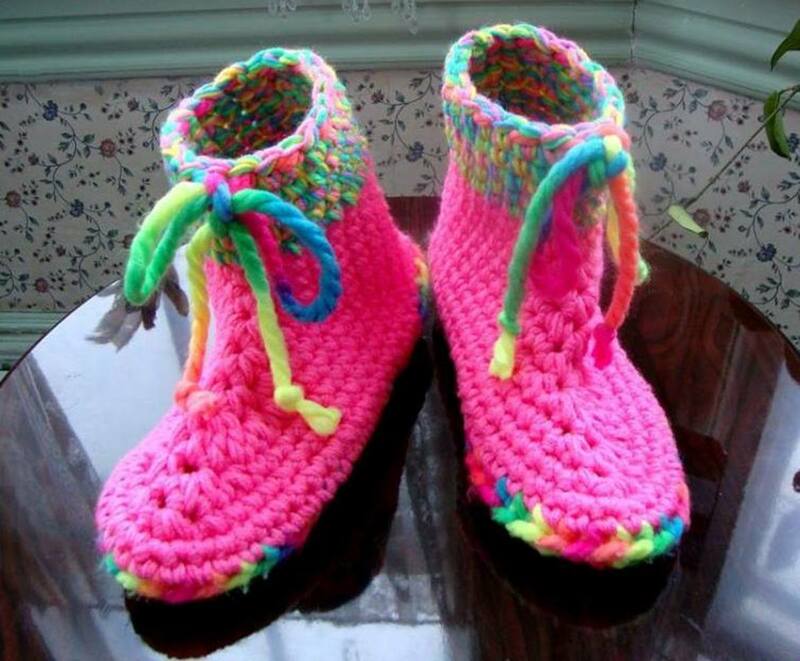 Slippers are an afterthought to most folks, and that is why they make the perfect gift. Gifts should be something that people won't or can't get for themselves, and getting a pair of slippers for a gift brings a smile to anyone's face. Slippers make terrific gifts for men and women of all ages. Slippers are a little bit of love and comfort for your hardworking feet. Now, how to decide what kind of slippers to get for yourself or a gift. 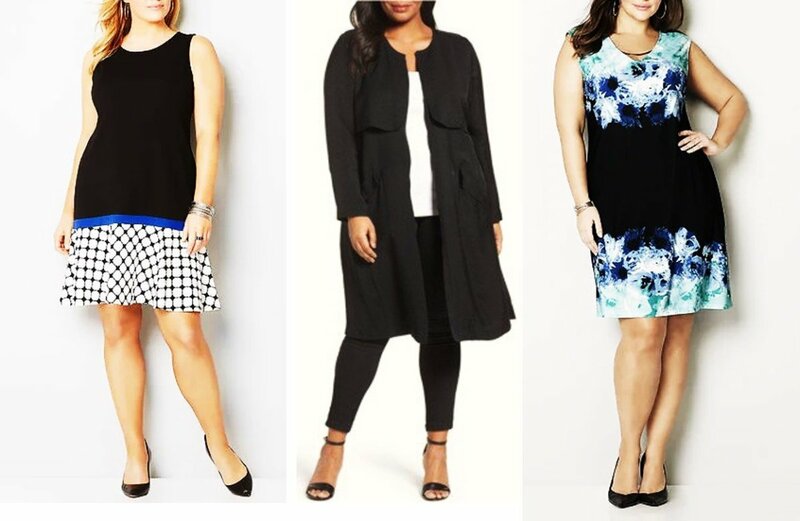 In order to help you choose, I am going to give you a tour of some of my favorites. One trick is to talk to the mother of the person you are buying for to find out sizes and what kind of slippers your recipient might love. Mothers always know this kind of information. If there is no mother to ask, the next best person is a roommate, or spouse, or child. These slippers are comfortable and warm all throughout the coldest winter. I love them. They also come in a wide selection of colors. Color-saturated suedes with leather-lace detailing, the Dakota is moccasin-inspired style meets the iconic comfort of UGGÂ® slippers. A soothing sheepskin lining lends breathable warmth without heat, while a molded-rubber outsole delivers whisperweight durability for indoor/outdoor, all-day wear. 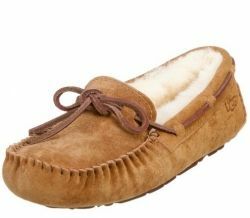 The womens UGGÂ® Dakota is a moccasin inspired indoor & outdoor slipper, perfect for all day wear. A molded rubber outsole allows for flexibility & durability. Offered in the finest suedes, it is fully lined in top grade sheepskin. Leather lace detailing and precision stitching make this popular slipper as stylish as it is comfy. Private Label makes a whole line of yummy slippers that you can just luxuriate in. I personally love the slipper to the right, because it cuddles your foot softly. Each step in this scuff slipper is comfortable to both the top and the bottom of your foot, and the open back allows your foot to breathe. This scuff slipper is not meant to be worn outside, but you could probably sneak outside in these slippers on a really nice fall day. Otherwise, I would keep them to wear on a Sunday afternoon in front of the tv, on a day that you wear your sweats or keep your pajamas on all day. Women have more of a slipper variety to choose from including some really fun animal slides like the Tru-Fit slippers pictured above. These slides are great for teenagers whose feet are adult size but they still act like kids. But grown ups love to have some funny slippers too, especially if there are young children at home who would get a thrill out of watching mommy walk around in her frog slippers. Many womens slippers are styled as a scuff or a slide, which means that you slip your foot in from the rear of the shoe, and the back end of the slipper is a flat open sole. These types of slippers are easy to put on when you are sleepy in the morning, or relaxing at home during the day. Some of the choices you will have to make when you buy slippers are the thickness of the sole, open or closed toe, and what material you want your slipper to be lined with on the inside, and covered with on the outside. Women's slippers are generally available in several color choices for each style, making it easy to match your slippers to your bath robe or pajamas. This is one area where you need to know your woman well enough to find out if she likes to have matching slippers for all of her bath robes. Some women dress as well inside their own home as they do outside. Their nightgowns all have matching robes and slippers. Other women would rather wear the most comfortable nightgown, robe, and slippers whether they match or not. Men's slippers are a little more subdued than women's slippers, usually coming in shades of black, brown and gray. Most men's slippers are either slides, scuffs, or moccasin styles often with a suede or leather exterior and a cushioned interior. Men seem to have more choices of outdoor slippers which definitely makes taking out the trash and getting the newspaper in the morning a man's job. Women do not have a lot of choice for outdoor slippers. One very excellent and higher end slipper company, Ugg, (they also make excellent boots) has a full line of beautiful slippers for both men and women. Ugg makes women's slippers in a knit sweater style, in leather and suede, and also some really great fluffy slippers. Ugg's men's slippers are just as great also in leather, suede moccasins, scuffs, and slides, and also they make a full clog style slipper for men and women. 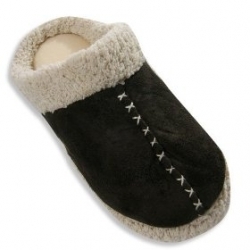 Ugg's materials are top notch, and their slippers are extremely comfortable, warm, and very durable. These are especially good for men, because we all know that most men won't replace their clothes or accessories until they are completely worn out, even if they are just holding on by a thread. If you are married to one of these type of men, then you can just sneak in, replace their slippers, and burn the other ones before they notice. Of course, the best thing about buying slippers from Ugg is saying the name "Ugg." I bet you can think of a lot of jokes with the punch line being Ugg. Slippers or Barefoot? Which is your Preference?